To celebrate the centenary of women’s right to vote and to stand for parliament, Bath’s MP Wera Hobhouse is running a speech writing competition, aimed at the city’s young women. Entrants are being asked to write a 500 word speech entitled “Why We Need More Women In Politics”, and should aim to inspire the next generation of female political leaders. The winner will spend a day shadowing Wera in Westminster, to get a real sense of what it’s like to be a Member of Parliament. The day will include sitting in on a Brexit Select Committee meeting, a tour of the Palace of Westminster, lunch with Wera, and attending an evening event to celebrate the centenary. The speeches will be judged by Wera Hobhouse (MP for Bath), Dine Romero (Liberal Democrat Council Group Leader), Olivia Leydenfrost (Communications Expert and Senior Advisor), and Matt McCabe (Former Government Speech Writer and Senior Advisor). Wera said: “Westminster can often feel like a bit of a boys’ club, and we need this to change. It’s important that women don’t feel put off entering politics, because engaging in our democratic system is how we can all bring about positive change. The closing date for the competition is midnight on 5th November. 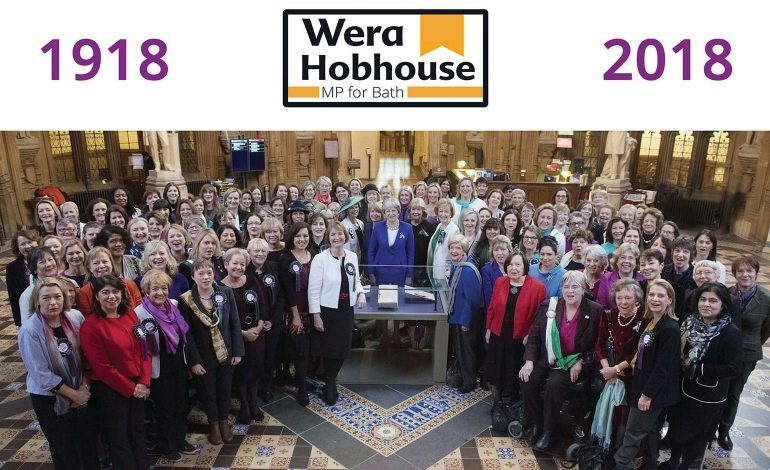 Students are asked to send their entry to office@werahobhouse.co.uk with the subject title “Votes for Women” or by post to Wera Hobhouse, 26 Charles Street, Bath, BA1 1HU.